Tobacco and ice is a pairing like no other. 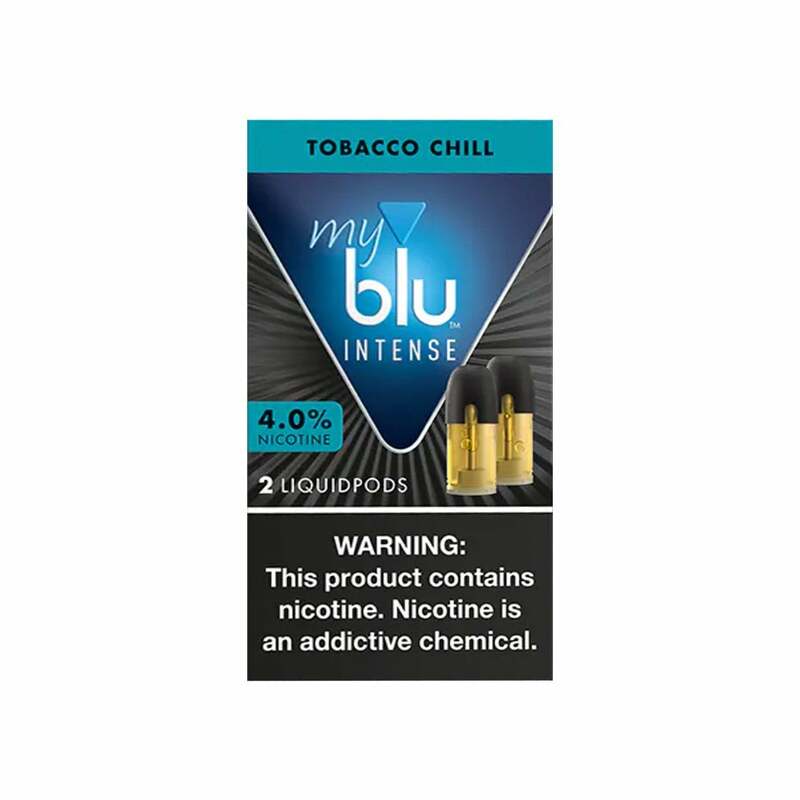 Tobacco Chill Liquidpods, by myblu, reimagine the classic taste of bold tobacco by adding a touch of frosty mint. The smooth, icy inhale and luxurious, creamy exhale will leave you totally satisfied and completely re-energized. Not what you're looking for? Find all of our myblu pods here. I enjoy this flavor the best. I'm afraid to try other flavors with fear that they will not be as good. I never would have believed the great taste. Like higher nicotine content but wish came in plain tobacco flavor. Wish they made plain tobacco flavor, but appreciate the higher nicotine content availability. So far the best tasting pod. Why are these pods not available separately? Though it's not as "chilly" or menthol-y as I'd like, the flavor is still really nice and relaxing. The flavor is a lot better than the golden leaf given in the starter kit. Prefer Gold leaf flavor, but like the higher strength of nicotine available with Intense pods. Wish there was a standard tobacco flavor.